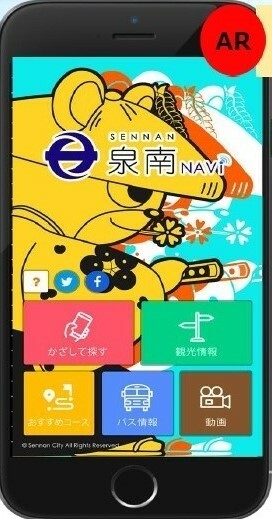 “Sennan NAVI” is a GPS-based AR Sennan City travel app. 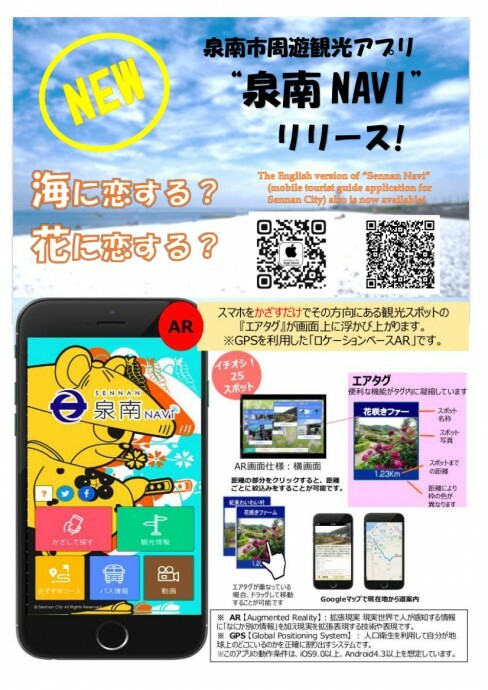 Its English and Japanese versions are available. The app language depends on the language setting of your smartphone. *To find more about Fuji-matsuri, the Wisteria Festival, click this link (Kajimoto’s noda-fuji). 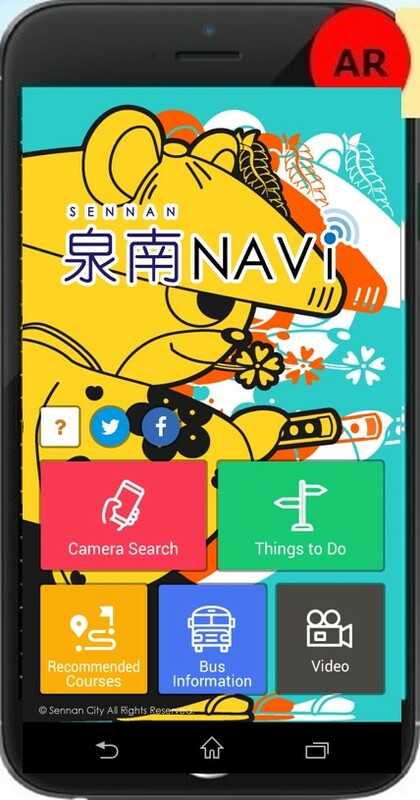 To find how to access to the Festival venue, click the link. 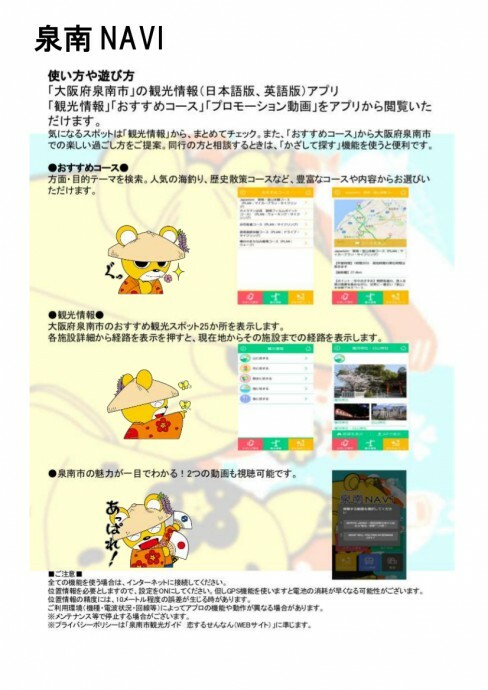 This shows the best 25 tourist spots of the City, including historical spots and gourmet restaurants, each with an access route from where you are, as well as recommended travel routes and two tourism ｍovies. Copyright (c) 恋するせんなん All Rights Reserved.